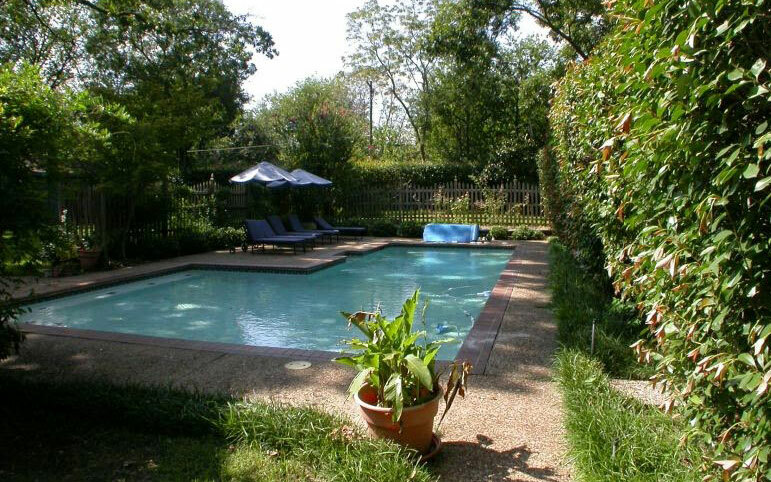 The "before" photos on this backyard show a rather non-descript, typical, 30 year old pool. Not much had been done to it over the decades that it played host to various families living there. The new homeowners, however, had something different in mind. They called upon us to re-invent this space and give it a bit of an edge. They had no desire to "play it safe", and so, we didn't ! 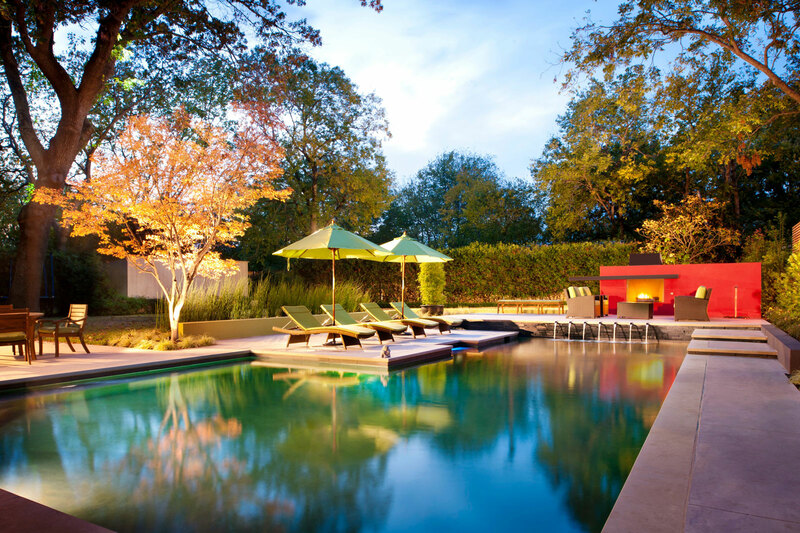 We utilized the simple, straight lines of the existing pool to lay out a multi-level space for an outdoor living area, a sun lounge area, and a cooking and dining area. and created the "wow" moment with a striking fireplace faced in vermilion stucco. 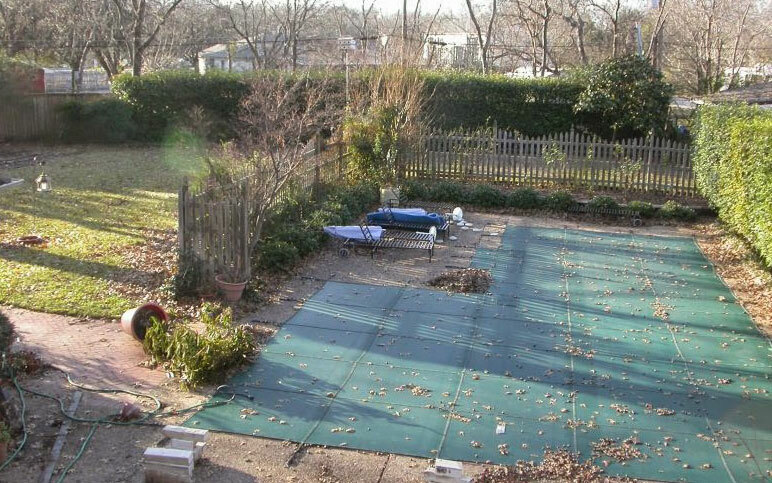 The "before" photos on this backyard show a rather non-descript, typical, 30 year old pool. Not much had been done to it over the decades that it played host to various families living there. The new homeowners, however, had something different in mind. They called upon us to re-invent this space and give it a bit of an edge. They had no desire to "play it safe", and so, we didn't ! 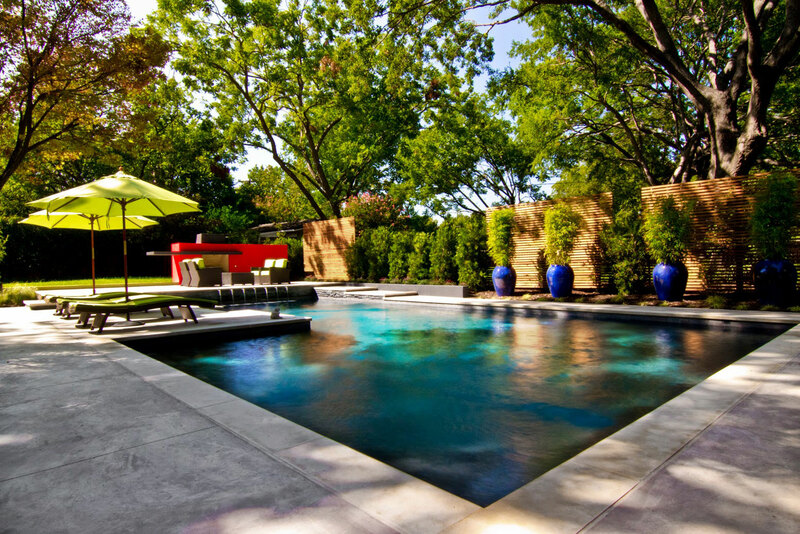 We utilized the simple, straight lines of the existing pool to lay out a multi-level space for an outdoor living area, a sun lounge area, and a cooking and dining area. We framed the pool area with a chartreuse stucco wall on one side, and stucco in charcoal grey on the other, and created the "wow" moment with a striking fireplace faced in vermilion stucco.